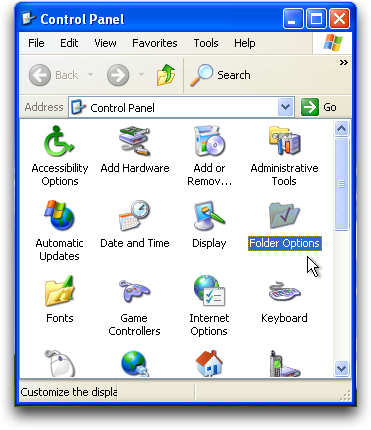 Select the radio box Show hidden files and folders. Press the Apply button and then the OK button and shutdown My Documents. Note: The hidden files are more lighter than normal files. 6. 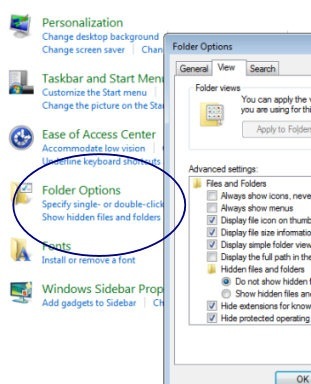 Double-click on the Folder Options icon. Click on the Appearance and Personalization link . 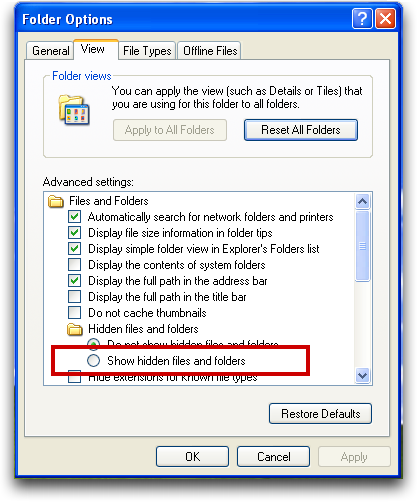 Under the Hidden files and folders section select the radio button labeled Show hidden files and folders. 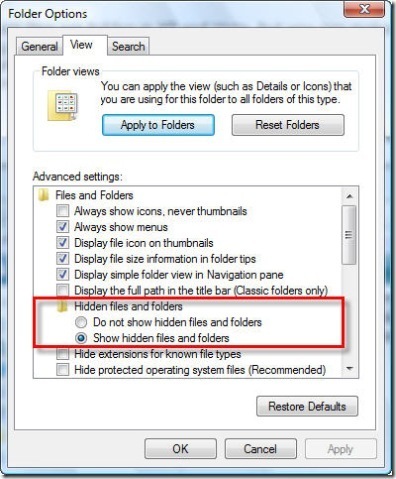 Remove the checkmark from the checkbox labeled Hide extensions for known file types. Press the Apply button and then the OK button and shutdown My Computer. 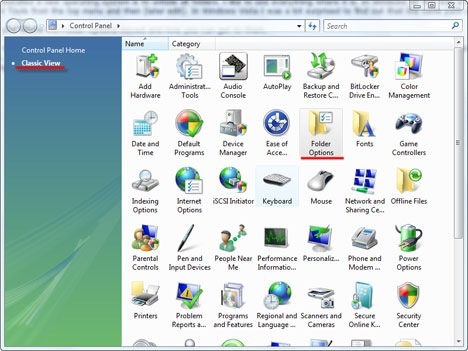 Now Windows Vista is configured to show all hidden files.